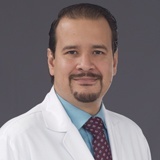 Dr. Xavier Garcia Aguilera obtained his Medical Degree of Medicine and Surgery from the Catholic University of Santiago de Guayaquil, Ecuador. He later became Specialist in Gastroenterology/Endoscopy from the University of Alcala de Henares, after 4 years of training in the Hospital Ramon y Cajal in Madrid, Spain. Then in 2005, Dr. Xavier obtained his Certificate of Advanced Studies-Research sufficiency from the University of Alcala de Henares, as a part of his PhD in Medicine. Dr. Xavier has over 10 years of experience in the field of Gastroenterology. He started his professional career as a Gastroenterology Trainee at the University Hospital Ramon y Cajal, one of the most prestigious hospitals in Spain. He was in the Gastroenterology Department for 4 years. In 2009 he joined the Southeast Hospital in Arganda del Rey, Madrid, Spain as a Gastroenterologist Specialist in the Gastroenterology Unit. After spending some time at Southeast Hospital in Arganda del Rey he moved to University Hospital Madrid Sanchinarro under the same position. Prior to joining NMC Healthcare, Dr. Xavier was a Specialist in Digestive Medicine and Endoscopy at the University Hospital of Torrejon de Ardoz, where he was responsible for all kind of diagnostic and therapeutic endoscopic procedures, having performed more than 10,000 endoscopies. He was also in charge of assisting patients with chronic liver diseases in a specialized consultation. Dr. Xavier has been an individual member of the European Society of Gastrointestinal Endoscopy since 2008, being awarded with one of the ten grants offered by the society for training in advanced endoscopic procedures in 2009. He has attended many courses and conference, both national and international. Dr. Xavier has contributed to many publications and book chapters. He has had abstracts in medical congresses to his credit. Dr. Xavier is fluent in English, German and Spanish.